When Perry Capurro rented a car from Hertz in Harrisburg, Pa., he got an early surprise: a required $200 “authorization” on the reservation. “They were difficult to deal with the whole time, and they do not release the hold until midnight,” he says. When Perry Capurro rented a car from Hertz in Harrisburg, Pa., recently, he got an early surprise: a required $200 “authorization” on the reservation. If you travel, you probably already know that smartphone apps aren’t that smart. In fact, they’re sometimes buggy, sluggish and hard to use. If you’re a regular reader of my consumer advocacy columns, you probably already know that the word “free” should trip all kinds of alarms. If not, don’t worry, I’ll get you up to speed: If you see the word “free” in a product offer, run! But “free” can be used in another equally important context. 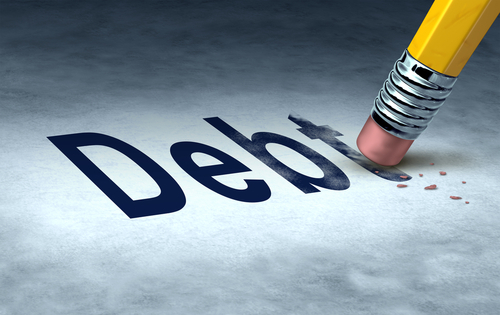 Promises to make you “debt free,” for example, can leave you even deeper in the hole. There, too, my advice is identical — don’t walk, flee. Debt-free, or “last dollar” scams, are, after identity theft, among the most complained-about swindles in America, according to the Federal Trade Commission (FTC). These scams are part of a broad group of cons that can involve selling you promises of a job, a government grant or some other money-making opportunity. Would you shop at this store? Would you take your kids into this store? Posted in Commentary Tagged KIDS, SHOP, SIGN, STORE, WARNING58 Comments on Would you shop at this store?